When hiring a skip, you need to consider what materials will be stored inside your skip. 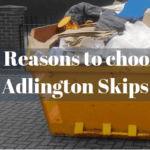 On a building site, there’s likely to be an immense volume of waste that needs to be disposed of, however, not all materials can be thrown inside the skips that we supply, here at Adlington Skip Hire. 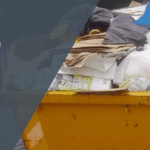 Our commercial skips for skip hire Chorley and skip hire Wigan are designed to accommodate all volumes of waste but cannot store certain materials, but why is this? Hazardous waste requires careful disposal, and skip hire Chorley (or skip hire in any location for that matter) is not the solution! To comply with hazardous waste regulation laws, implemented in 2005, you need to ensure that your waste is disposed of safely, in an environmentally friendly fashion.  Choosing skip hire Bolton, Preston or Wigan doesn’t necessarily have to be difficult, our team of experts are always on hand to help and advise you when it comes to managing your commercial waste. By adhering to safety laws, you can make sure that your waste is disposed of correctly, ultimately preventing any dangerous consequences arising. Any of the commercial skips that we supply are guaranteed to enhance safety on-site, can you afford not to invest in one of our skips? Needless to say, any business can generate huge volumes of waste, whether it’s plastic, cardboard or rubble, however, here at Adlington Skips, we make sure that any waste is removed efficiently before it can cause a hazard- the same goes for hazardous waste. We offer commercial skip hire Bolton to accommodate the needs and wants of an array of businesses, allowing you to keep your waste off the ground and safe. Any waste that’s left lying around on your premises can be potentially dangerous, hence why we supply our skips to store your waste securely. With commercial skip hire, you need to know what can and cannot go inside your skip! If your business produces acidic waste or alkaline solutions, we advise you to keep these out of your skip! Although skip hire Preston allows you to maintain a safe environment, acidic and alkaline materials need to be kept separate. Such materials can compromise the recyclability of the waste stored inside your skip, hence why you should avoid throwing these in. If you’re looking to dispose of acids or any other hazardous substances, special waste disposal is required. Any building that’s affected by asbestos is often deemed “unsafe”, so it’s no surprise you want to eliminate this as soon as possible! When it comes to removing asbestos, we suggest leaving this to the experts who have developed a wealth of knowledge and experience over the years, at least this way it’s done efficiently. 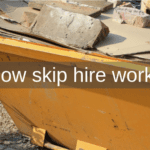 If you’re looking for skip hire Wigan to store your asbestos waste… we suggest you think again because our skips are not suitable for asbestos waste! Here at Adlington Skips, we provide the commercial skips to accommodate any business, so if you’re expecting to produce large volumes of waste, you cannot go wrong with the skips we provide for skip hire Preston. Although our commercial skips are much bigger than our domestic ones, they are not ideal for hazardous materials like fridges and freezers. These products need to be taken to the recycling centre or your local tipping facilities, where they can be carefully disposed of. If your business produces waste oils, you need to keep these out of your skip! Oils are classified as hazardous waste and need to be carefully recycled. Throwing flammable materials inside your skip is dangerous and can cause more damage than it’s worth. 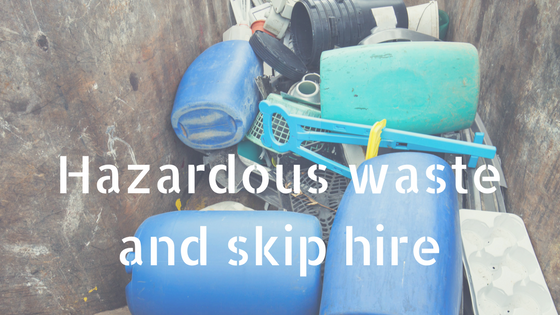 Any hazardous waste that’s found inside any commercial skip can leave you paying for the consequences. Our commercial skips are provided as a convenient method for disposing of any waste that your business produces; however, hazardous materials need to be kept separate, otherwise you’ll be handed a fine for not adhering to skip hire laws! For more information about what’s classified as hazardous waste, call us on 01257 474 747 today!